While we all wait and hope for a quick recovery following Tracy Morgan's car accident on the New Jersey Turnpike, there have been numerous reports flying to keep us updated, from the accurate to the offensive. When TMZ obtained a video from the scene of the crash and posted it, Krizya Fuqua asked TMZ to remove it. She's the daughter of Ardie Fuqua, one of the victims who was depicted being dragged out of the wreckage in the film. When TMZ did not comply, Louis C.K. and Judd Apatow spoke up against the crash video to add pressure to the celebrity gossip site. It wouldn't be the first time that the public need to understand the situation as completely as possible has led to controversy. On Monday, a representative had to release a statement that Tracy Morgan's leg was not going to be amputated due to the rumors swirling — and continuing to swirl — to the contrary. In this instance, it appears that the truth is even more painful and damaging than any false reports, which is understandable given the delicate subject matter. "Arte's [sic] brave daughter asked them to take it down. They won't," said Louis C.K. in one of several tweets. "Please don't go to TMZ to watch the video. Please ask them to take it down." Louis C.K. 's tweets come in the wake of Krizya Fuqua's own Instagram message, which read, "I honestly would like to petition for TMZ to remove this video... This is hurting my heart so bad that this video is posted for all to see." Judd Apatow went as far as to tweet TMZ founder Harvey Levin directly to ask him to take down the controversial video, which is currently still viewable on the site. Whether or not their pleas will be successful still remains to be seen, but they certainly have a point. While it's an old adage that the public has a right to know, families going through a tragedy should have an equal right to privacy during difficult times. As hard as the video would be to watch for even a casual viewer, it must be ten times more disturbing for the relatives of the victims of the accident. If one of them speaks up to have the video taken down, shouldn't that be taken into consideration? At the very least, one thing is for certain. 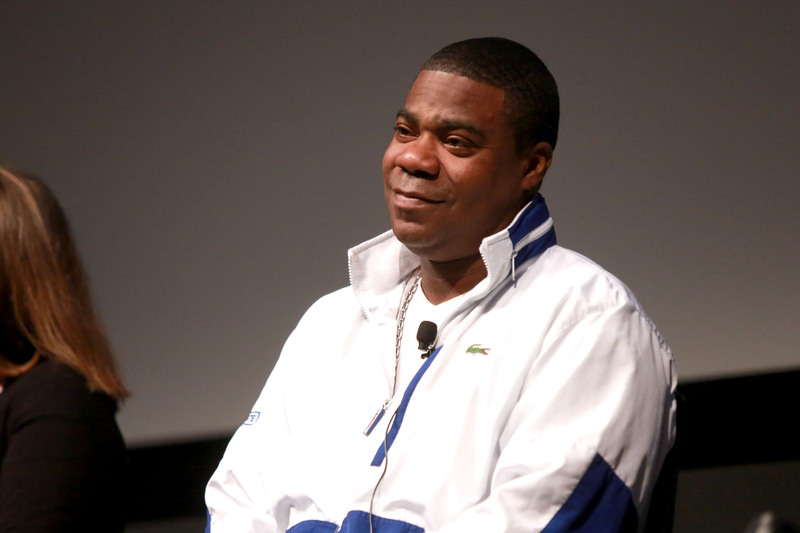 Our hearts and minds continue to go out to Tracy Morgan and the other victims of the crash, as well as their friends and families.